Cesar Baio was a visiting researcher at i-DAT (2017-2018) and an associate professor at Universidade Federal do Ceará, in Brazil. With a background in electronics and in media studies, his interest as an artist and as a researcher is on the relationship between art, technology and society. He developed his PhDʼs research at Pontifícia Universidade Católica de São Paulo (PUC/SP) with a graduate internship at the Vilém Flusser Archive at Universität der Künste, Berlin. His PhD thesis analyses experimental artworks, most of them produced with technologies such as virtual reality, augmented reality, interactive video, cybernetic systems and locative media, assuming a perspective of the art and media theories. This research aimed to comprehend how some of these artworks reshape the models of representations and, by doing so, they materialize forms of understanding the world that are different from the ones consolidated in traditional media. Seeking to demonstrate the heterogeneity of the sensibilities implied in these different modes of existence and functioning of the image, he analyses these artworks starting from the concepts of technical apparatus (Vilém Flusser) and co-presence (Hans-Thies Lehmann) to suggest the raising of a performative regime of the image. The series of videos, photos, interactive installations and urban interventions produced by him place questions in some political, ethic and cognitive aspects of the insertion of technology into the cultural practices and power structures. Most of his projects are based on procedures such as reverse engineering, occupation of information networks and subversion of the industrial devices, aiming to reveal tensions in the human-machine relationship, encourage creative collective participation in digital platforms or speculate on alternative forms to represent the world and to produce reality. He is a professor and co-founder of the Graduate Program in Arts at Universidade Federal do Ceará (UFC), where he coordinates the “actLAB – Laboratório de Pesquisa em Arte, Ciência e Tecnologia” (Laboratory of Research in Arts, Science and Technology). During the last years, he has been a collaborator researcher at “CISC – Centro Interdisciplinar de Semiótica da Cultura e da Mídia” (Interdisciplinary Center of Culture and Media Semiotics) (PUC/SP) and also at “Grupo de Pesquisa Fotografia, Imagem e Pensamento” (Research Group in Photography, Image and Thought) (UFRJ). 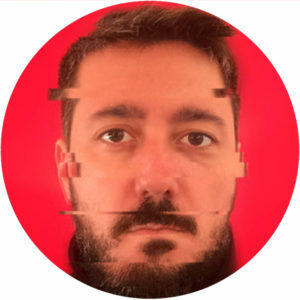 He is the author of the book “Máquinas de imagem: arte, tecnologia e pós-virtualidade” (Machines of image: art, technology and post-virtuality), and he has also written papers which were published in academic journals and collections. He has participated in congresses, seminars and exhibitions in Brazil and abroad. His activities have been commissioned by Brazilian federal agencies and he has received prizes for research and art production.